Reprinted in 2 The Bill of Rights and American Legal History (Paul L. Murphy, ed. 1990) and in 6 The Supreme Court in American Society (Kermit Hall, ed. 2000). 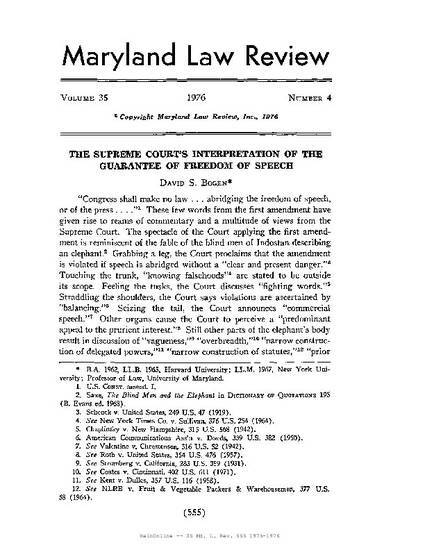 35 Maryland Law Review 555 (1976).